Whether you’re looking for new and exciting places to visit in Orange County, or searching for a few perfect date night ideas, it’s easy to overlook some spectacular local attractions. Both Orange County residents and tourists alike have a number of options available, making it the ideal place for both a romantic meal watching the sunset, trying something completely new, and even escaping the summer heat with a luxurious movie experience. 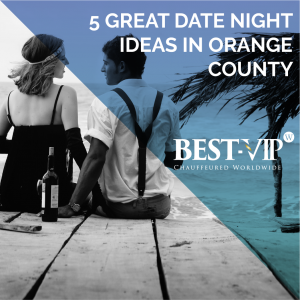 Here’s our list of 5 great date night ideas in Orange County.